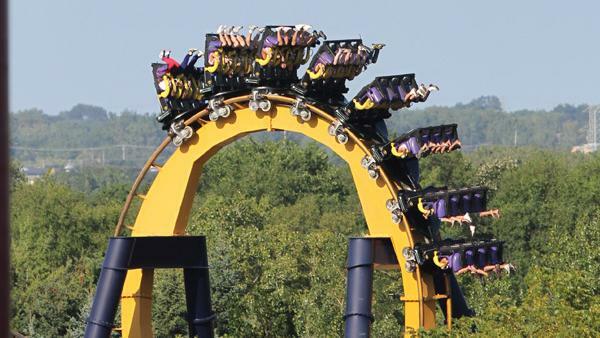 Six Flags Amusement Parks are great. 10 Year Old Me: Wow, that ride was so awesome that I can’t even move my head anymore! My Friend Erik: Hey, didn’t you start off that ride with two arms? 10 Year Old Me: Oh snap, that’s going to make it tough to play Contra on Nintendo later. Oh, and back then, “oh snap” was actually still a cool thing to say. But I digress. The point is sometimes when you get caught up in the moment, you’re thinking this is the best thing ever, but later on when you look at it objectively, you realize that it wasn’t all that cool. Not me, mind you, I’m awesome at finding ways to validate the stupid things I do. But getting back to the topic, the same thing is true for NFL football. Watching the Seattle Seahawks come back from being two scores down with 5 minutes left and winning in overtime is quite the emotional roller coaster, even if you didn’t care for either team. And one might be lead to believe that the Seahawks actually played a good game. Looking back, that really wasn’t true at all. So let’s look now at two players that impacted (both positively and negatively) the NFC Championship game, Russell Wilson and Richard Sherman, and what Seattle has to do with respect to those two to win the Super Bowl. 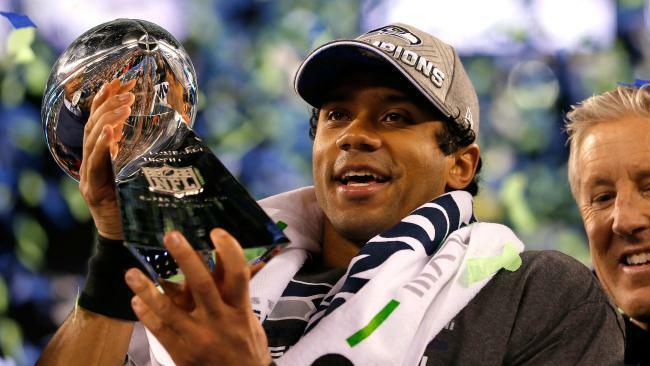 Will the Real Russell Wilson Please Stand Up? Yes, I am making a reference to an old Eminem song from 2000 and yes I am humming that song to myself at this very minute. If you’d like to hum along, feel free to check out the video here. So, of Wilson’s 7 rushes for 25 yards and 1 TD, 99% of that was in the fourth quarter. What happened you ask? Zone read offense happened. The Seahawks run one of the most effective zone read offenses in the NFL, with Marshawn Lynch as a bruising between the tackles runner that’s hard to take down, consistently making defensive ends over commit to the run and take themselves out of play if Wilson decides to keep. Wilson is a master of reading the defensive end and deciding whether to hand the ball to Lynch or to keep it and make a play, whether it be with his legs or down field. It’s amazing that it took over three quarters to get going, but once it did, there was no looking back. Not only did Wilson pick up yards on the ground from the zone read, but so did Lynch, as his production picked up dramatically when the Packers’ defense had to concern itself with a mobile Wilson in the backfield (case in point: Lynch’s 24 yard touchdown run with 1:24 left in the fourth quarter). In turn, the Packers secondary became antsy and crept up, leaving Wilson the ability to go play action and to call audibles. Like, for instance, Kearse deep down the middle. Touchdown. Game Over. The Real Russell Wilson is certainly zone read Russell Wilson. In reality, 90% of the Seahawks production during the NFC Championship game was due to the zone read offense. 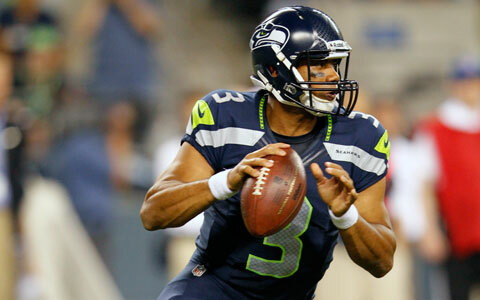 Wilson will have to keep calm and stick to the gameplan, even if the Seahawks get down early in this one. Getting Rob Ninkovich to bite on zone read will be tough, but crucial, as Wilson definitely doesn’t want to depend on vertically beating Darrelle Revis (who’s currently playing at a high level) and Brandon Browner (who has familiarity with Wilson and the Seahawks offense from 2011 through 2013). The primary danger, of course, is that in the last 8 games, the Patriots have been number one at limiting scoring in the second half of games. What that means is that late game heroics may not be as likely against the Pats as it was against the Packers. OK, enough about Wilson. Next time, we talk about Mr. Chunky Soup himself, Richard Sherman. And perhaps if you’re good, I’ll hum another old Eminem classic for you.